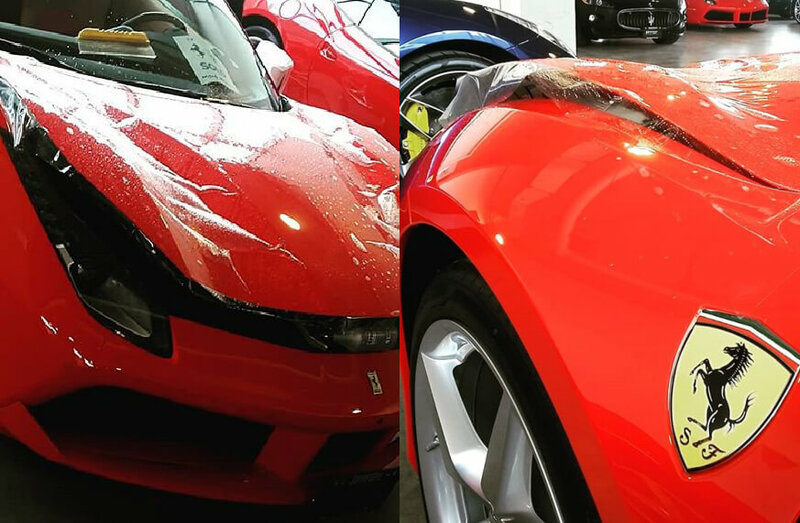 Book an appointment with our Vancouver paint protection film experts. We’ll inspect your vehicle and make recommendations. What is Paint Protection Film (Clear Bra) ? Paint protection film (PPF) is a thermoplastic polyurethane sheeting that adheres to your vehicle’s surface, protecting its clearcoat and paint from rock chips, scratches, road grime, bug and bird stains and environmental damage. PPF is most often glossy but matte or satin finishes are available. PPF is intended to be permanent but can be removed without damage to a vehicle’s original paint. Our Vancouver paint protection film customers usually choose a full-coverage wrap, but partial coverage packages that protect only the most vulnerable areas are also available. PPF may be applied to cars, sports and exotic cars, SUVs, trucks, vans, recreational vehicles and even motorcycles. Paint protection film (clear bra) protects your vehicle’s topcoat and paint against common wear and tear damage. It also looks fantastic! Protects from chemical and environmental marring or fading. Super-hydrophobic (water repellent) for a dramatic reduction in water stains. Reduction in ongoing finish maintenance. Protects and extends the life of your factory topcoat and paint. PPF has a manufacturer’s warranty. Ultra-high gloss finish for that “just waxed” look (also available in a satin finish). In the car graphics below, the areas in red indicate coverage area, not colour. Paint protection film comes is transparent and can have either a gloss or matte finish. All badges and trimming within that area. How long does it take to apply paint protection film? Usually, a PPF wrap takes 1 full day. In most cases, you can drop your car off in the morning and pick it up in the late afternoon. Occasionally, our technician may require 2 days. Are there any special care instructions for paint protection film? You care for your vehicle as you normally would. You can safely wash and wax your vehicle. We recommend hand washing. What happens if the film gets scratched? In most cases, light scatches won’t harm the PPF. Our paint protection films are “self-healing”. They are created with polymers that continue to flow and level even after the film has cured. Most light scratches and swirl marks in the film will slowly fill in as the polymer reflows. This “filling in” can be accelerated with the help of a warm-air blow dryer. Can paint protection film be removed? Yes. PPF can be removed without damaging the factory finish. What kind of vehicles can use PPF? PPF can be applied to any car, whether the family sedan or a Ferrari! Paint protection film can be used on cars, sports cars, luxury vehicles, exotic and collector vehicles, SUVs, vans, trucks, recreational vehicles and motorcycles. What areas of Vancouver do you serve? 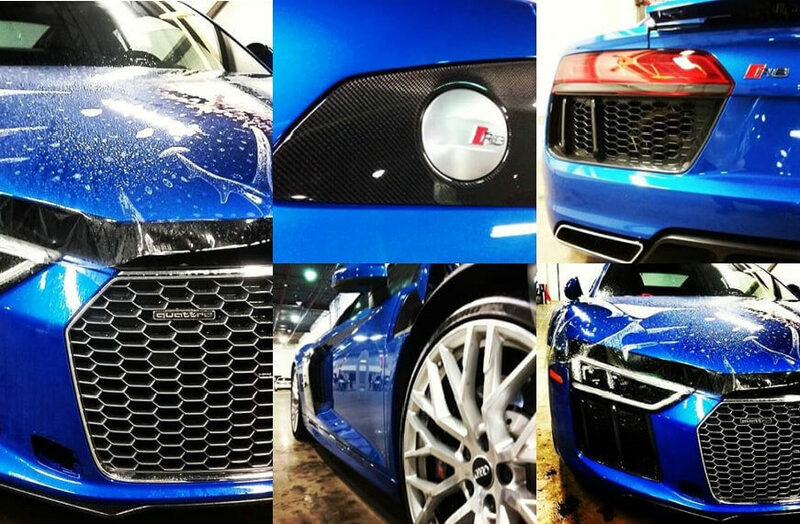 We provide paint protection film to Vancouver, Richmond and Lower Mainland clients.